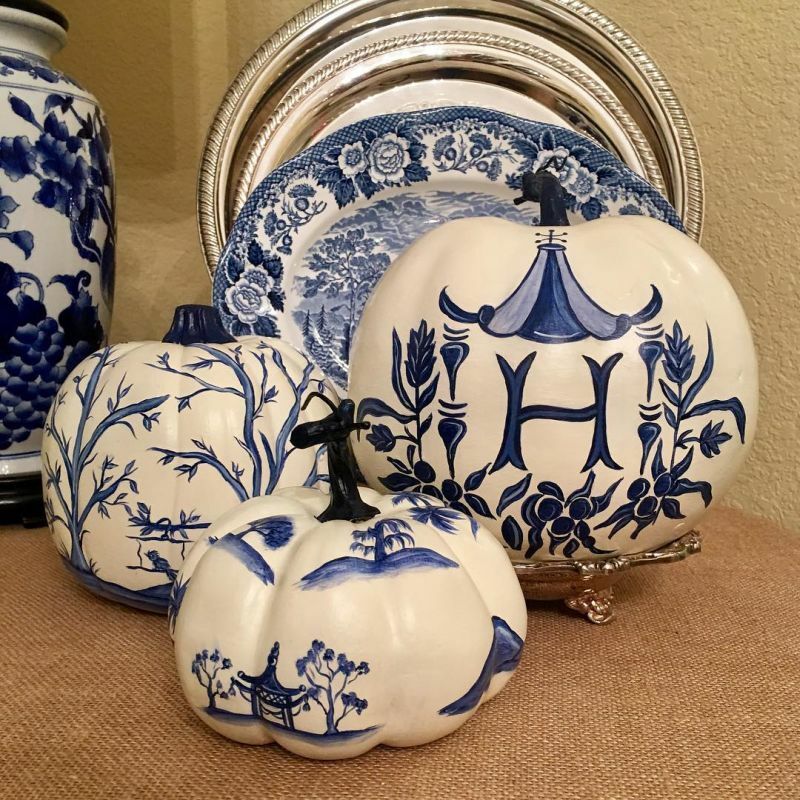 Halloween is that time of the year when we all decorate our homes. 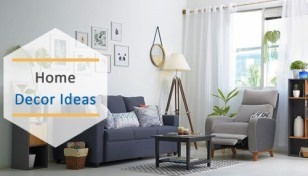 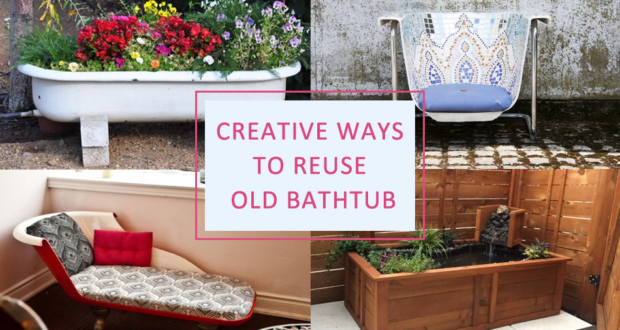 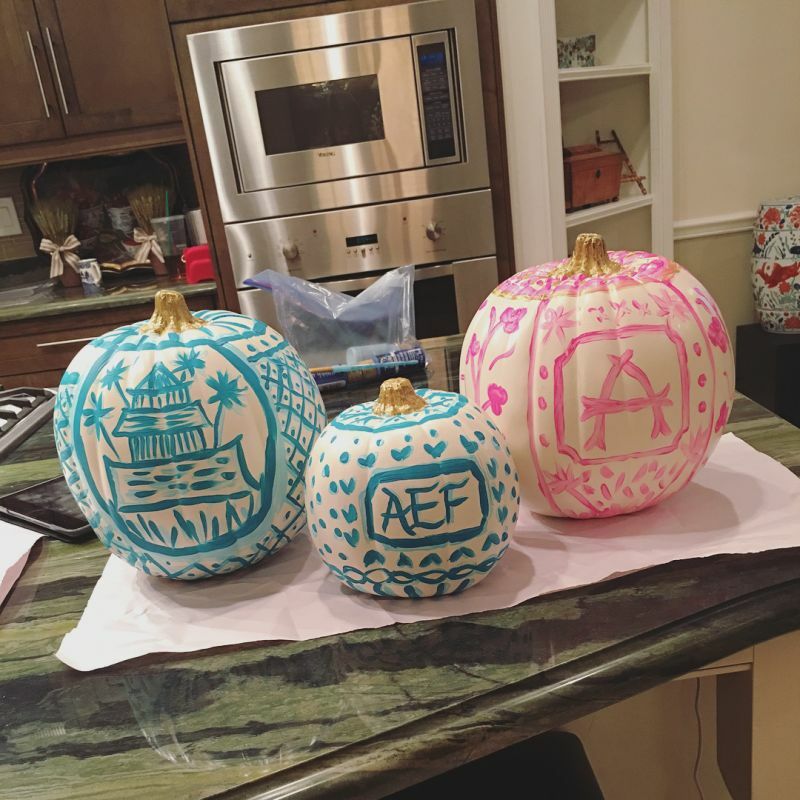 Some of us like to decorate to scare, while some like it fun and beautiful. 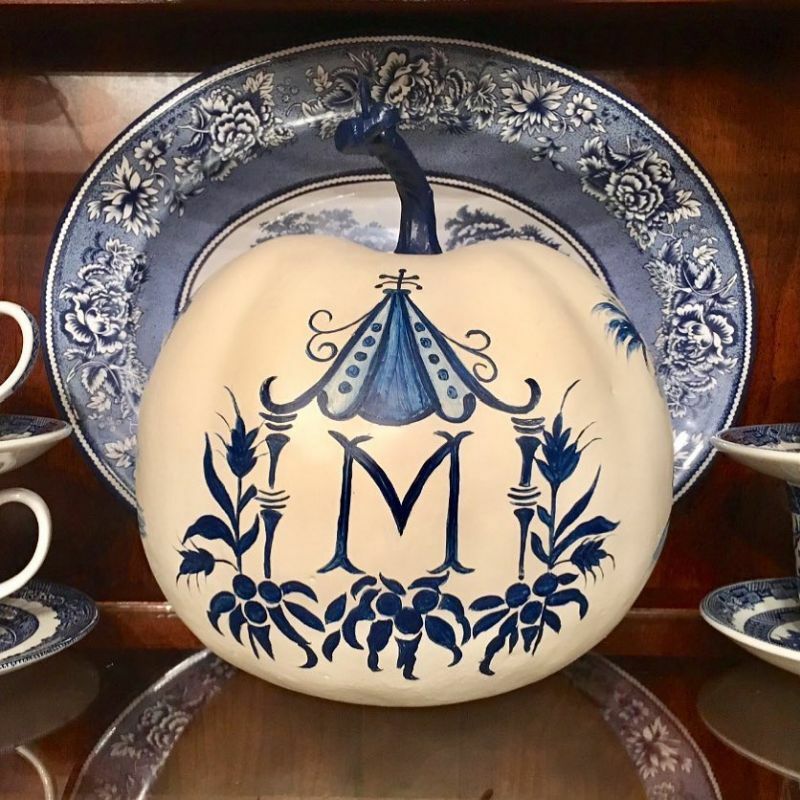 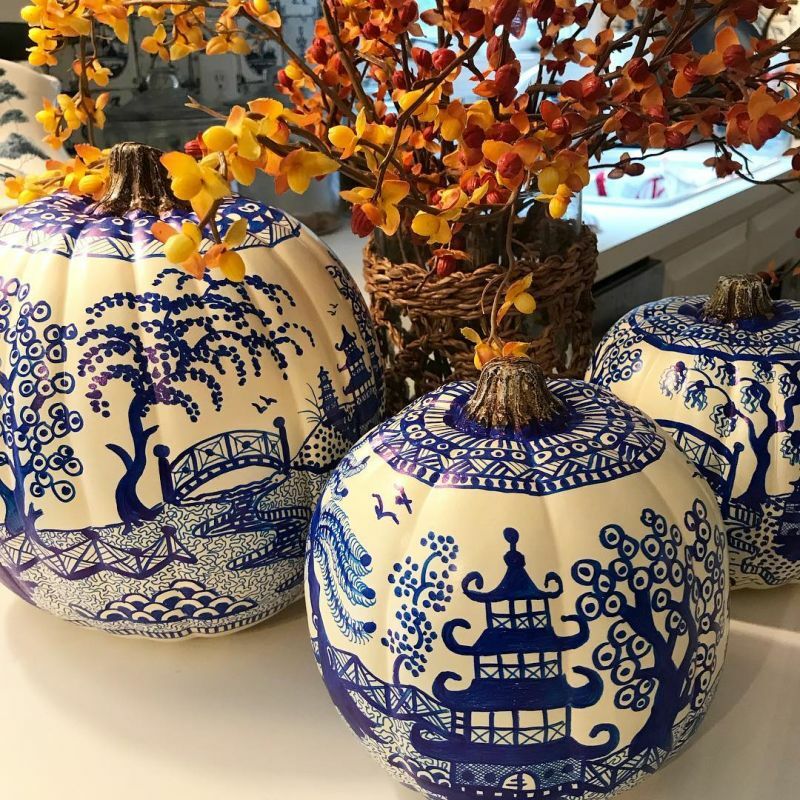 For the latter, here is this year’s latest pumpkin decorating trend from Instagram – Chinoiserie-inspired pumpkins you’ll love for your Halloween decoration. 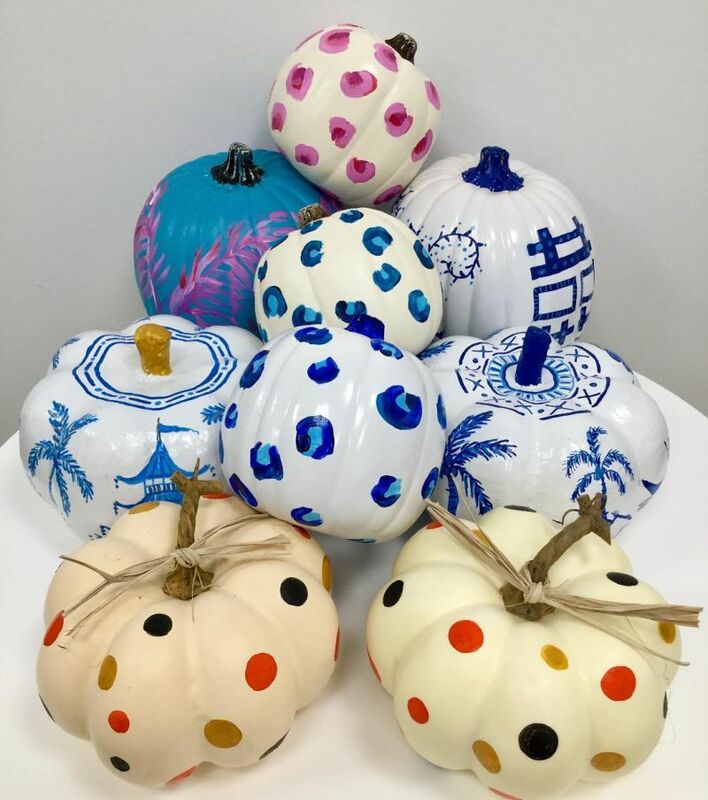 Painted pumpkins is a popular way to decorate your home for Halloween in the most minimalistic manner. 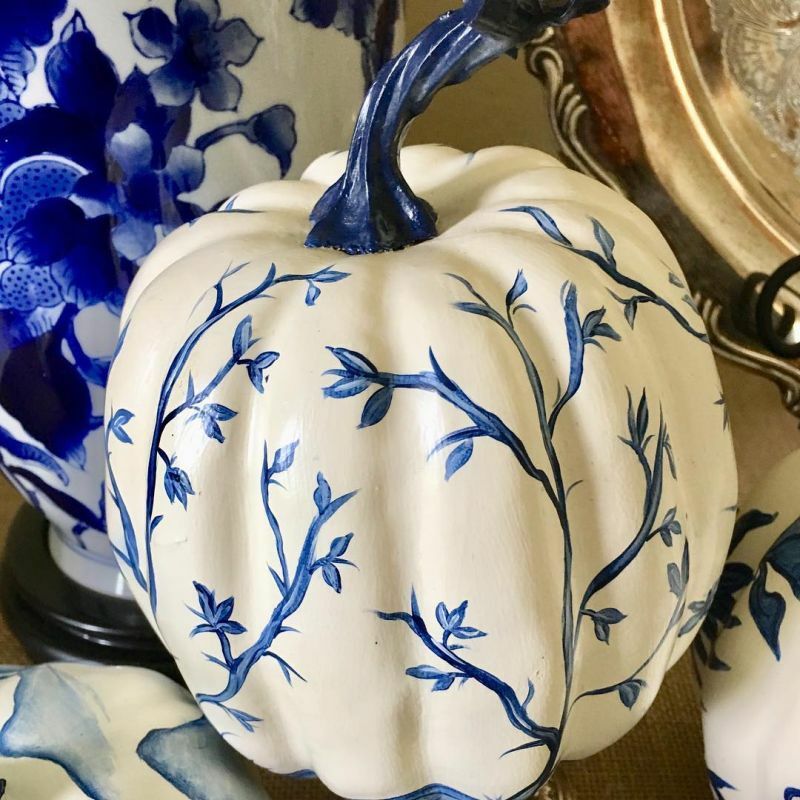 From kids and adults to teenagers, all can take it up as a fun activity, which is what makes the Chinoiserie pumpkins all the more meaningful. 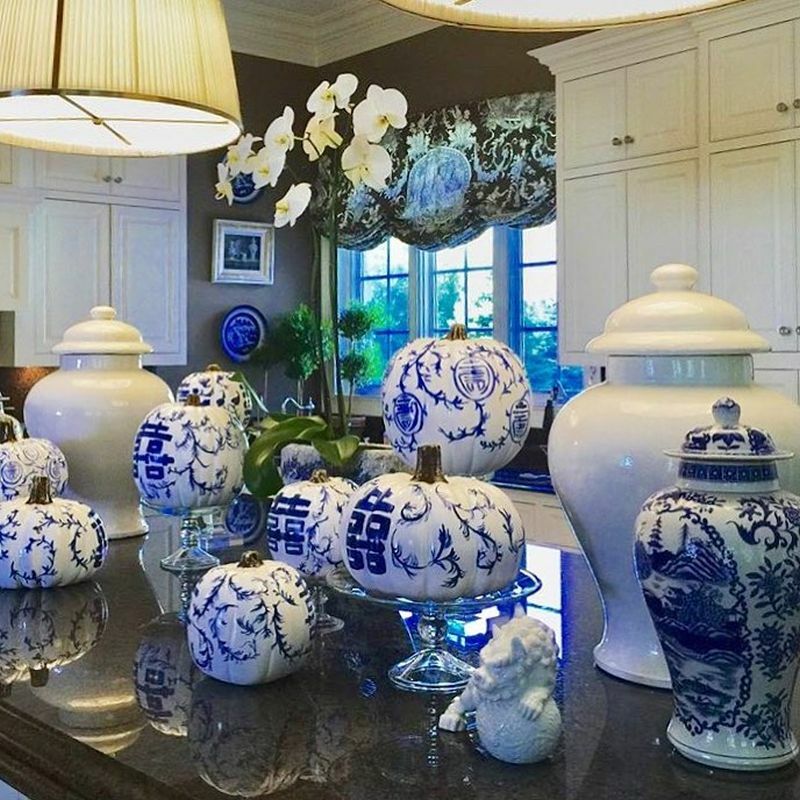 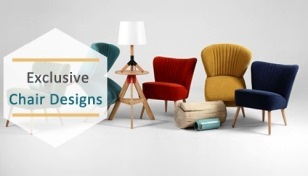 Chinoiserie is a decorative style in Western art, design, and architecture; distinguished by the use of Chinese-inspired motifs and color combination of blue and white. 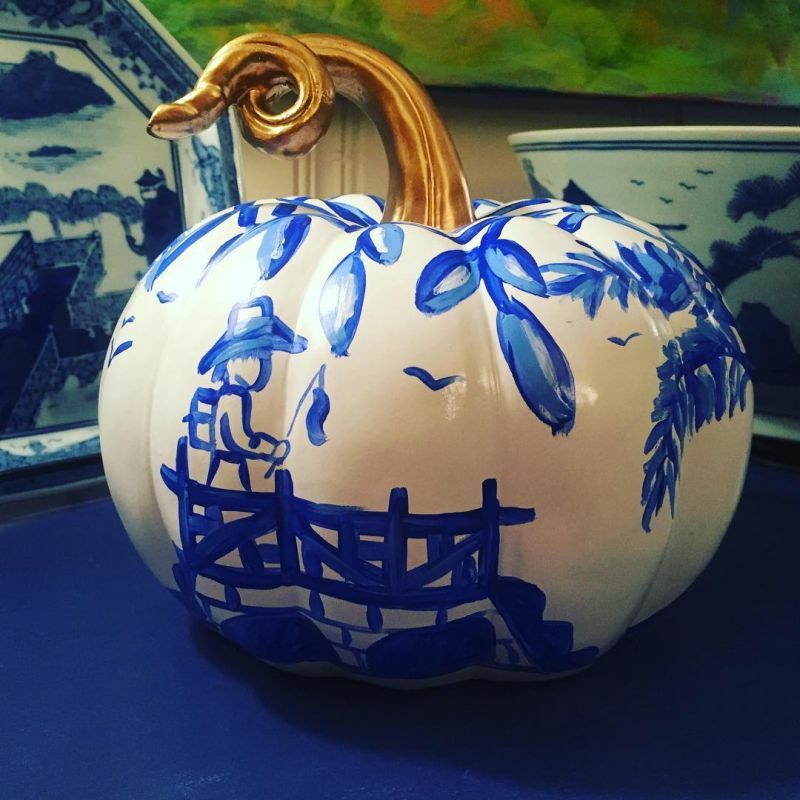 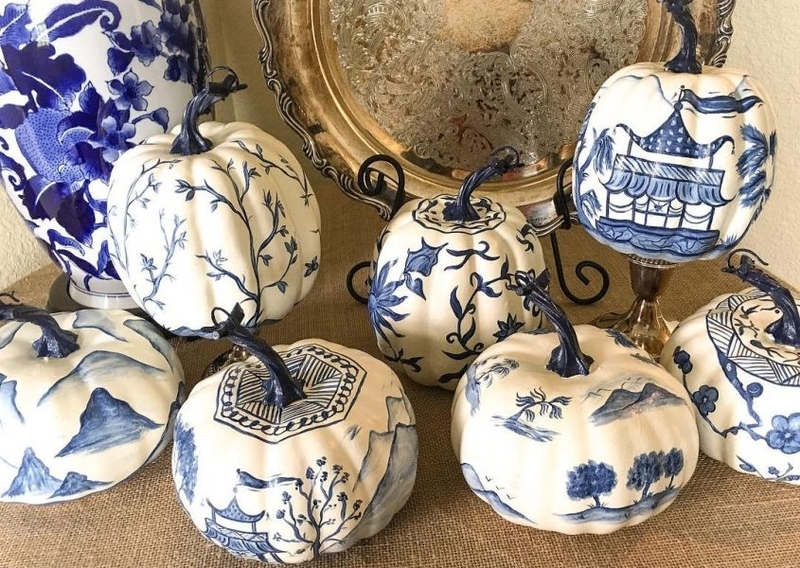 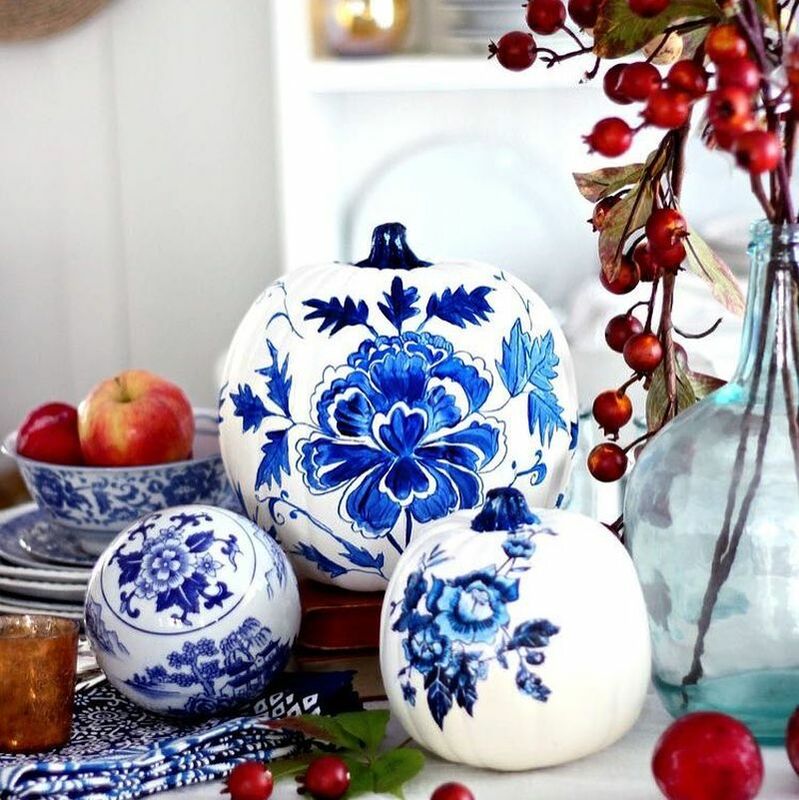 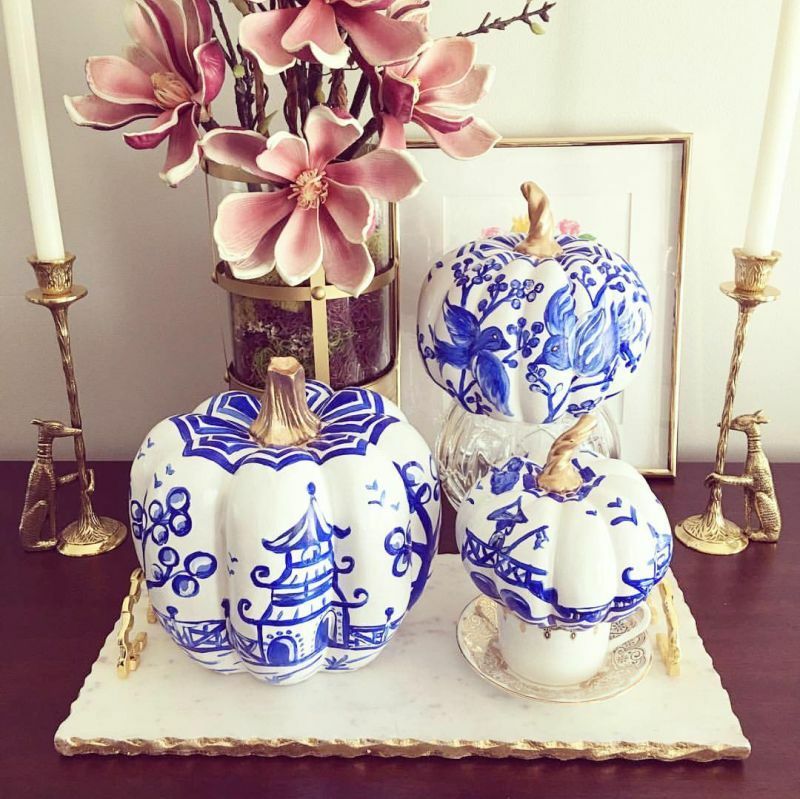 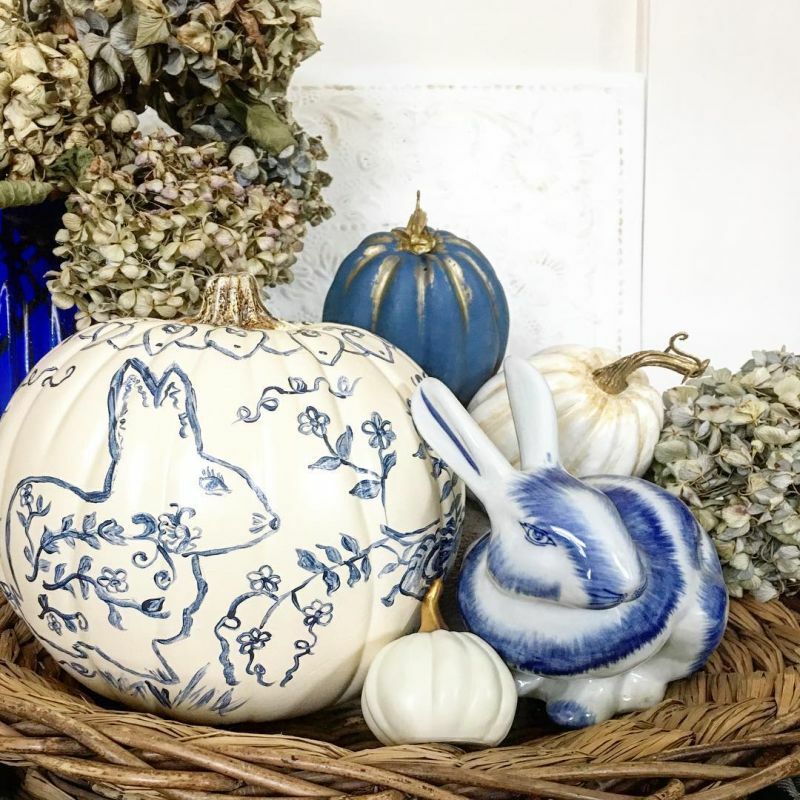 Inspired by the art form, Instagrammers are now using it to create Chinoiserie pumpkins for a unique home decor. 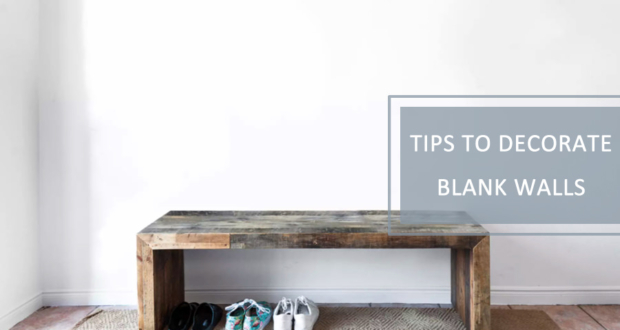 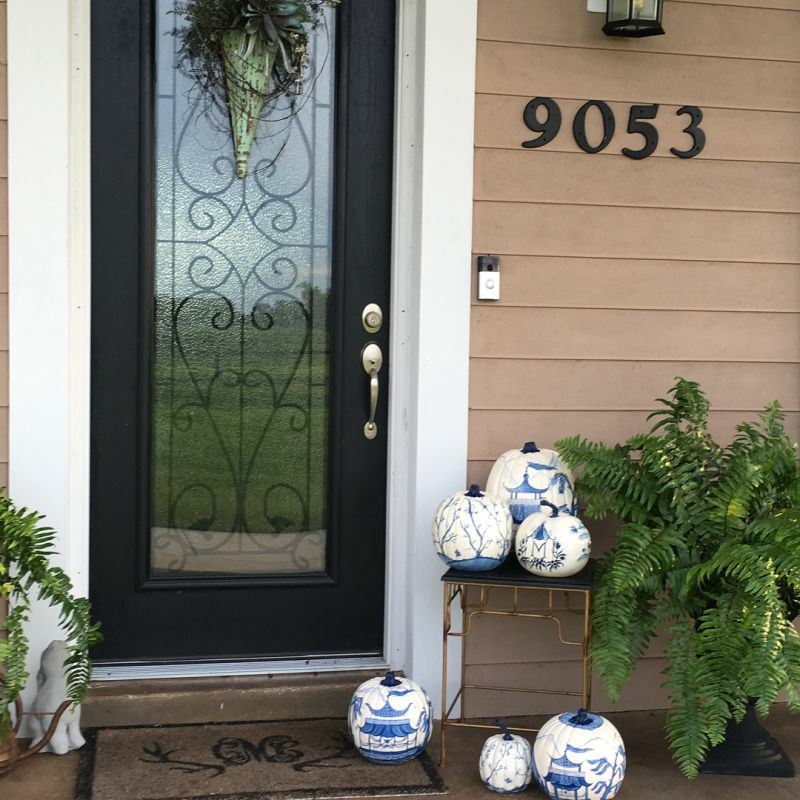 If you’re bored of conventional orange and black Halloween decoration, this might be the right idea for you. 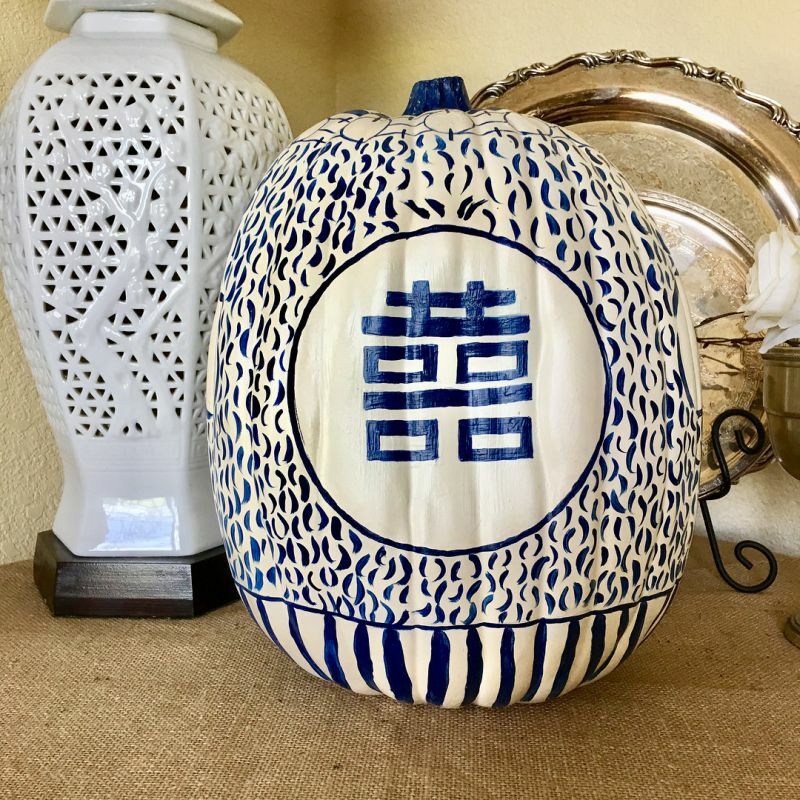 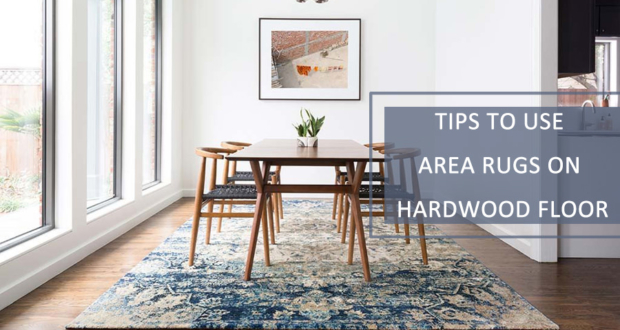 It is not an easy task to paint intricate patterns on pumpkins; however, you can buy Chinoiserie stencils from local stores, and paint the design on the pumpkins easily.